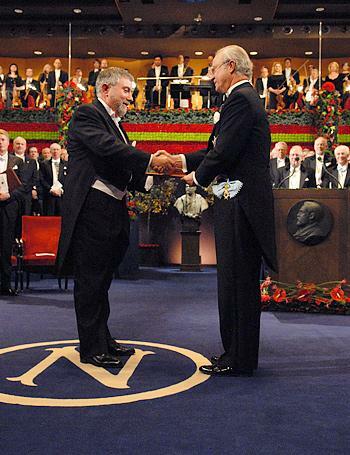 Nobel winning American economist Paul Krugman, Professor of Economics and International Affairs at Princeton, writes frequently for the New York Times. This week, he offers Ignorance Is Strength, a timely piece that may help us understand why BC Liberals are waging political war on public education. “One way in which Americans have always been exceptional has been in our support for education. First we took the lead in universal primary education; then the “high school movement” made us the first nation to embrace widespread secondary education. And after World War II, public support, including the G.I. Bill and a huge expansion of public universities, helped large numbers of Americans to get college degrees. “The damage these changes will inflict — both to our nation’s economic prospects and to the fading American dream of equal opportunity — should be obvious. So why are Republicans so eager to trash higher education? “…After all, over the past 30 years, there has been a stunning disconnect between huge income gains at the top and the struggles of ordinary workers. You can make the case that the self-interest of America’s elite is best served by making sure that this disconnect continues, which means keeping taxes on high incomes low at all costs, never mind the consequences in terms of poor infrastructure and an undertrained work force. Education and opportunities are keys to successful societies. I am using a strong word to be sure, but it is a genocide of sorts. Almost like the furore Gutenberg created amongst the elite of the time.